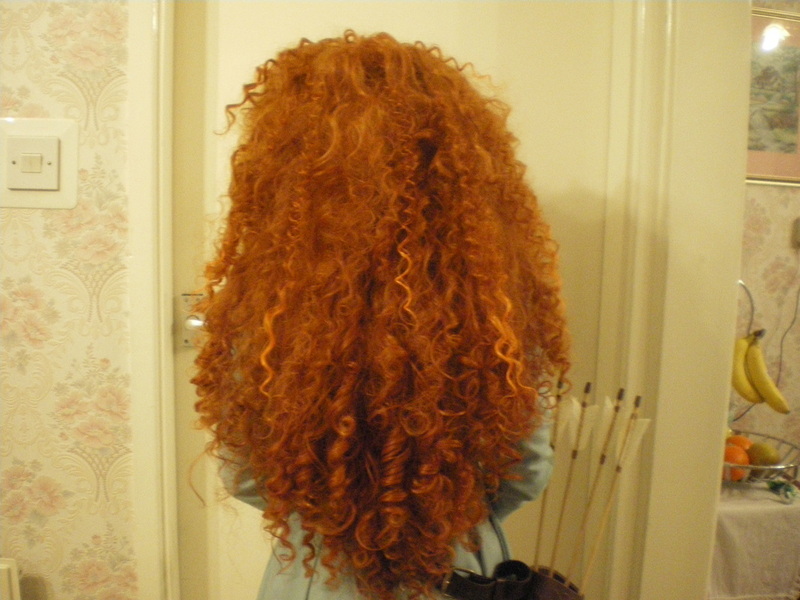 This is made up of three wigs. 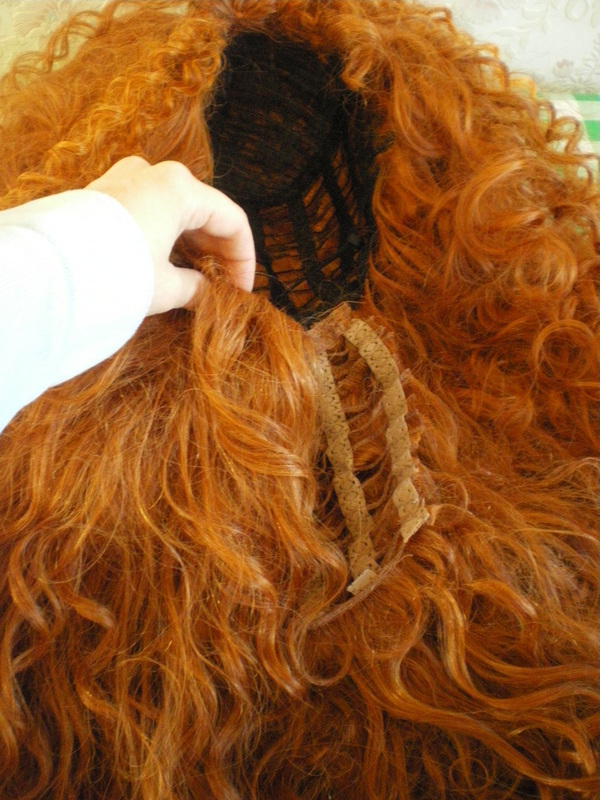 Very carefully, cut the "cap" top of the wig, off the second wig, you will need this for later. 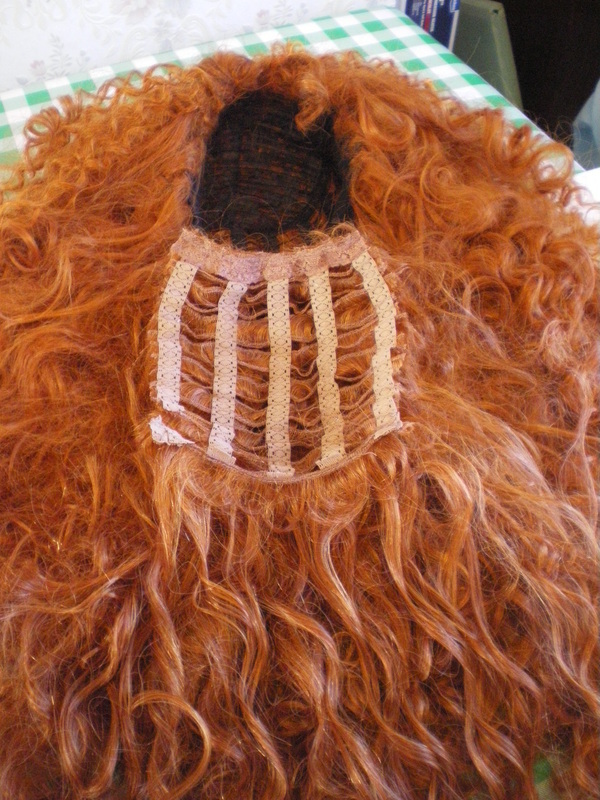 Cut the back section out of the second wig using the ribs as a guide. 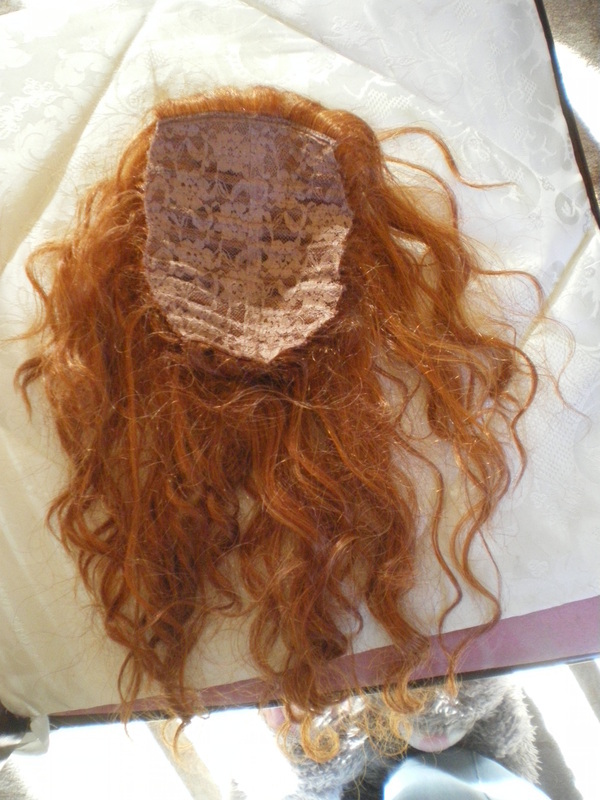 Sew this to the bottom of the first wig. 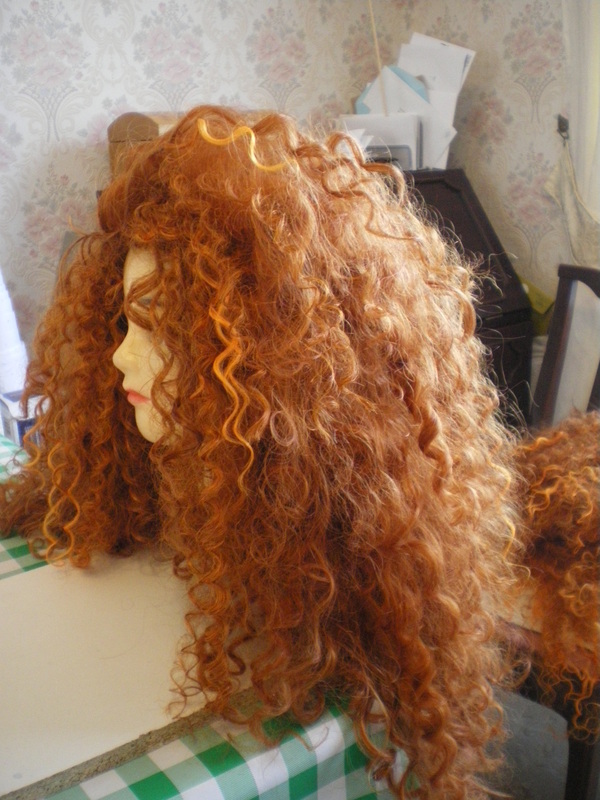 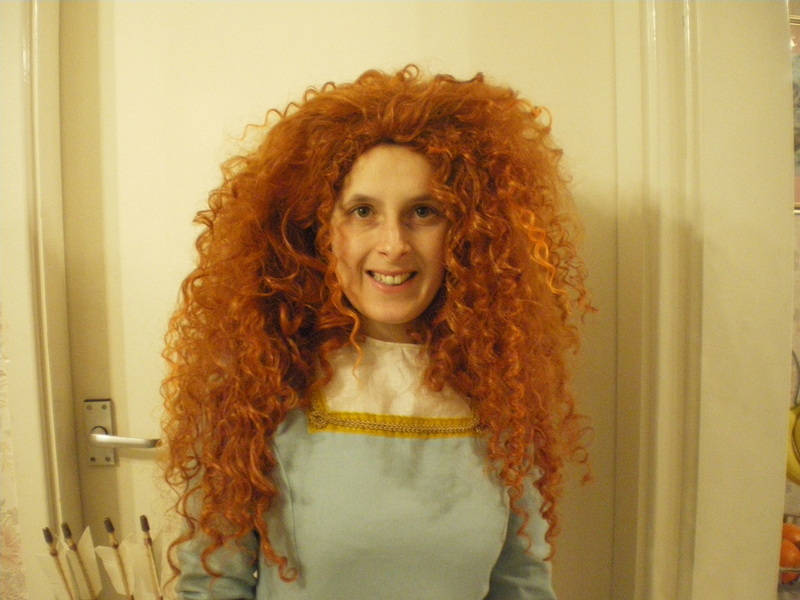 The third wig had a lot of tight corkscrew curls, which made perfect highlights. 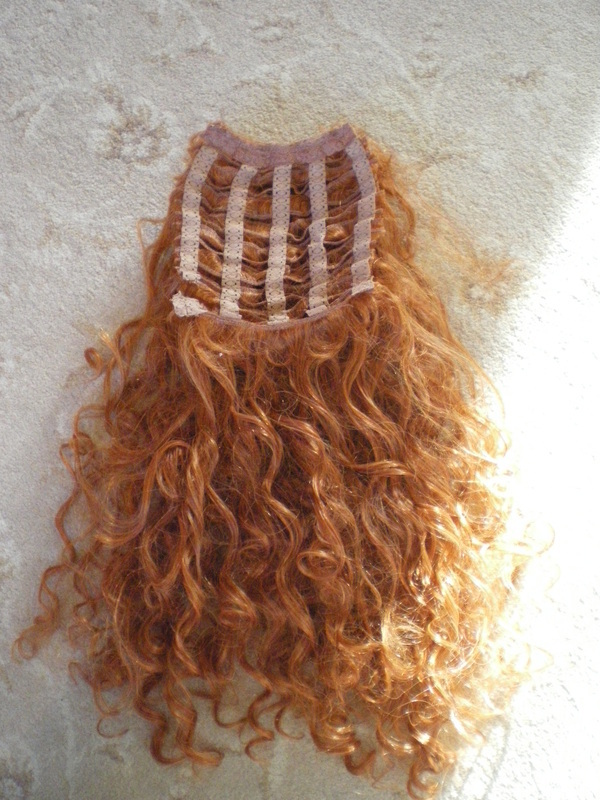 I cut off several strands of curls from the third wig and sewed them into the first wig.